Another Guy from Chester. This is former 4 (RFM 644), also a Guy Arab IV, built in 1954 and seen at the premises of Stevenson's, Burton upon Trent, in February 1984. 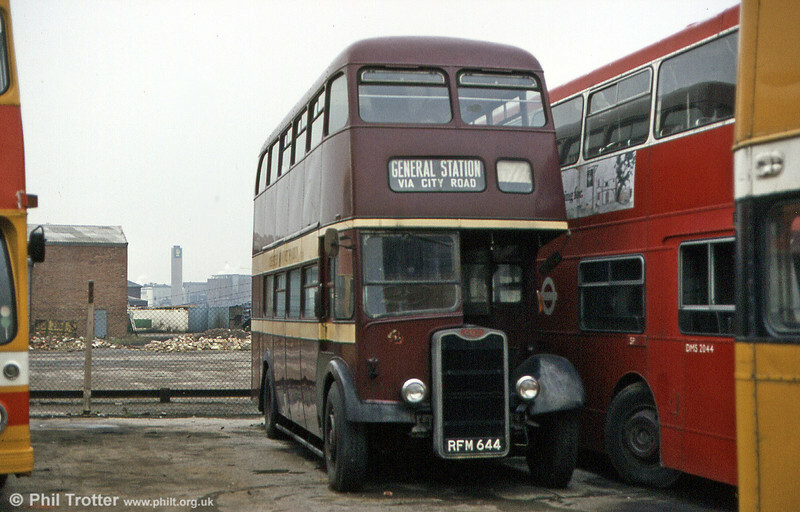 The Park Royal H30/26R body bears some styling similarities to the London Transport RT type.